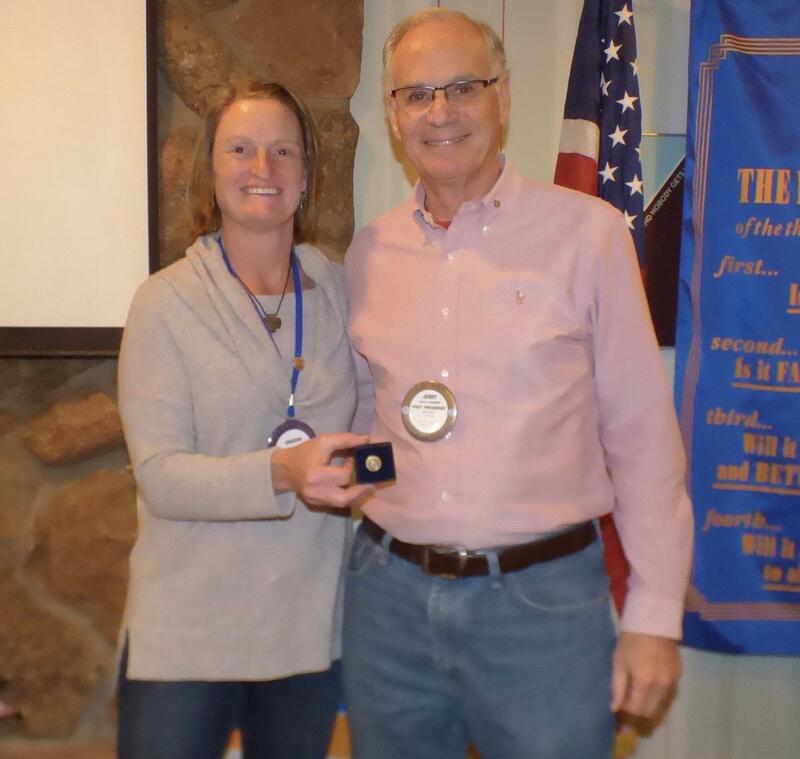 Jerry Lionetti accepts a Rotary Paul Harris Fellowship pin from Rotary Club of Castle Rotary Foundation Chair Sharon Sjostrom, left. The pin recognizes a certain level of giving to the Rotary International Foundation which is used to promote health, education and welfare at home and around the world. The club meets at 7 a.m. Wednesday at the Village Inn restaurant in Castle Rock. The public is always welcome.